SONAX Nano Technology Paint Cleaner can help you restore neglected paint or maintain newer paint. This is a powerful paint cleaner that also applies a coating of wax to the paint at the same time so it’s really an All In One product. The combination of polish and wax make it a versatile product everyone can use. The nano technology used with the wax particles makes them extremely fine so they can hide any remaining imperfections extremely well. The rich blend of carnauba wax will also leave a layer of protection behind that helps preserve the paint while enhancing it’s appearance. 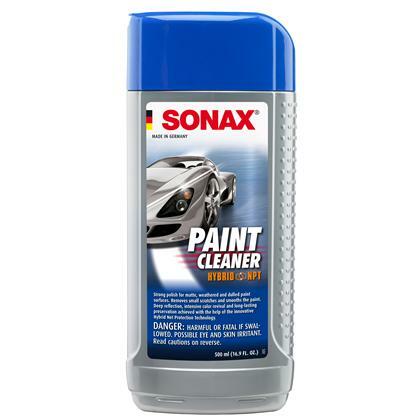 If you want to polish and protect in one step the SONAX Nano Technology Paint Cleaner is an outstanding choice!